Greg manages the weekly on-ice training program for the 50+ players from the Wake County Boys & Girls Clubs. Greg's leadership and experience have been instrumental in building and leading our on-ice sessions for our participants and coaching staff. He is committed and passionate about teaching hockey for all of our player, whether they're beginners or advanced. 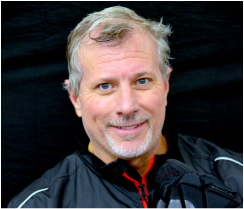 As a USA Hockey Level 5 Certified Coach and Level 3 Referee, Greg brings a plethora of hockey knowledge and experience to the organization. We’re tremendously lucky to have him on board! Dr. Michael Kanters is a Professor in the Department of Parks, Recreation & Tourism Management at NC State University. His research focuses on children’s sport and physical activity behavior. Many of his projects examine factors contributing to positive youth development through sport, as well as programmatic strategies and policies to increase physical activity opportunities for youth. Dr. Kanters has played an integral role in the development of the life skills component of the Capital City Crew’s hockey program. 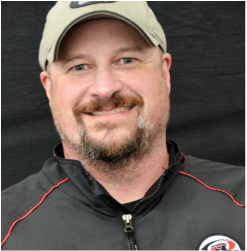 Craig is USA Hockey Certified Level 4 Coach with over 10 years of coaching experience at all levels, from beginners to U18. He started coaching as a way to spend more time with his two boys and to have a positive influence on other children. While director for the Raleigh Youth Hockey Association House League, Craig helped start Capital City Crew as a way to introduce hockey to a group of kids who might otherwise not have the chance to play. His coaching philosophy focuses on having fun, working hard, and using the lessons learned from hockey to other areas of one’s life.